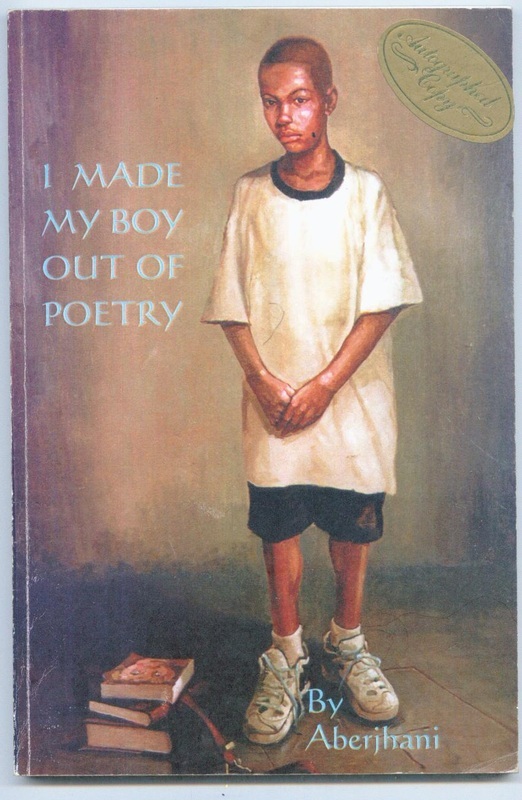 Aberjhani's first published book was I MADE MY BOY OUT OF POETRY. 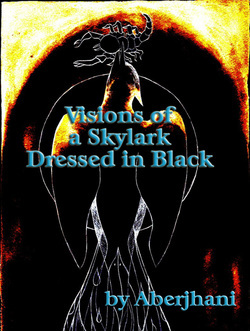 Although the title emphasized the poetic nature of the book as a whole, it is actually a volume of half a dozen works in memorable prose and some 52 poems. Published in 1997, by 2012 ebook standards it could be considered two books in one. 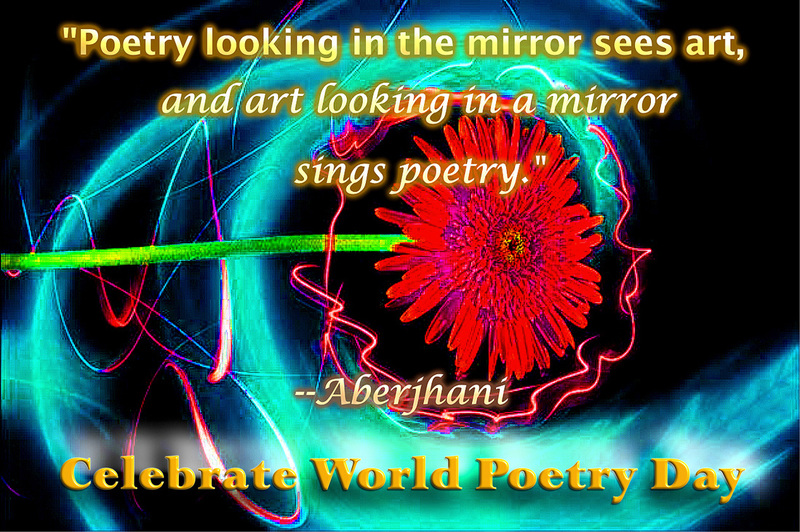 Both individual and collections of poems by the author may be found on the Internet on a diversity of websites. These include Creative Thinkers International, which he founded, and other popular sites such as AuthorsDen, Red Room, DeviantART.com, The Poet Seers, and others. Below are selected poems from his published books. Yesterday my heart was an onion. of a pregnant summer sky. This morning my heart became a candied yam. I had no taste for praising or condemning. with every kiss that glistened inside your eyes. gathered inside autumn’s tattered pocket. a groom, a bride, the ring on each of their fingers. The vows that make their tongues sweet. buzzing like a star gone wild. Getting hot. Now hotter. Like raw honey catching fire. that snow pearls of love. that much I will confess. and my passion never arid. and mysteries neither revealed nor forsaken. To what did our tremblings give birth? of its jealousy and hunger. by the sun’s bitter teeth. and with this thunder soothe your weeping fire. 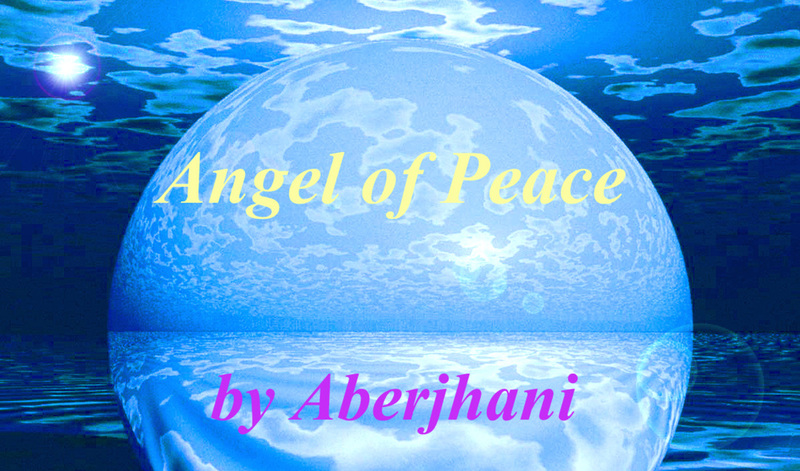 with such soft rapture as an angel might. waking up dreaming in your lover’s arms. you return to the beauty you have always been. of your amusement, drift down like shredded sky. leaving diamonds and blue to kindle my riddle. and exploring the energy and pulse of Sirius. prophecies from one moon to the next. to choreograph a jazz ballet of magnetic bliss. of my origins and possible destinies. rooted in the gardens of infinity. made of history and it is nothing less than revelation. a thousand new ways to love and be loved. My arms are the mountains that hold time in its place. My tears are the atoms that give substance to space. 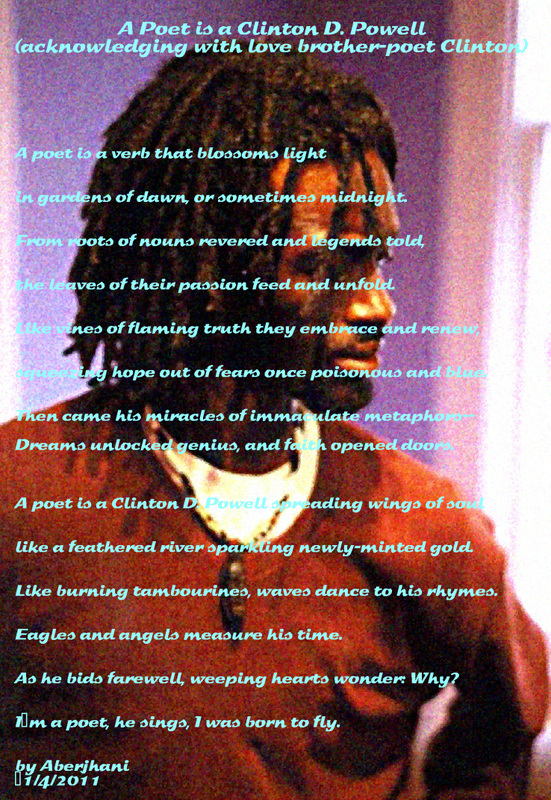 My blackness is the music eternity makes when singing itself as me.